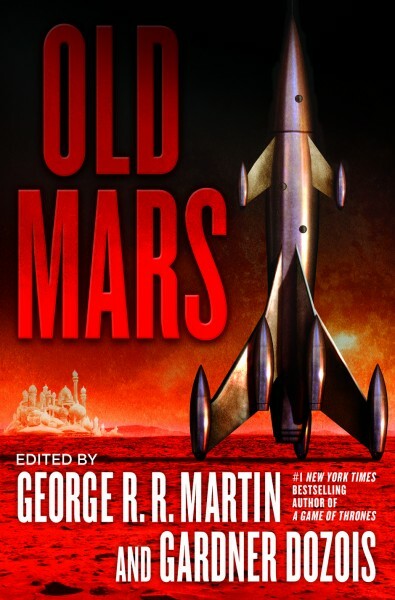 When I was fortunate enough to have an opportunity to submit to a new anthology edited by Gardner Dozois and George R. R. Martin about Mars — not the real post-Mariner Mars, but the one we all loved as kids, with the canals and the dead cities and the various flavors of Martian — I was tremendously excited and also a bit terrified. The editors alone, never mind the other authors who would be participating in the project, were among my science fiction heroes, and the topic was near and dear to my heart. This story, describing Captain Kidd’s (yes, that Captain Kidd) journey to Mars in the year 1701, is the answer to that question. Kidd stood at the rope which on any ordinary ship would be the taffrail, his stomach troubled. All of his seafaring instincts told him his ship was completely becalmed. Floating beneath her balloons, she drifted along with the wind, so no breath of breeze freshened the deck. Sexton with his instruments assured Kidd that they were making good progress, but still he worried. An unimaginable distance below, the whole great globe of the Earth lay spread out to his sight: a shiny ball of glass, swirled in blue and white, suspended in the blue of the sky. He could span the width of the world with two hands held out at arm’s length, thumb to thumb and fingers spread. The drop was now so great that the view had passed from terrifying to interesting. At that Sexton laughed. “Fear not. It is no disease, but a natural consequence of our distance from the Earth. This phenomenon was predicted by Newton and confirmed by Halley on his first attempt to reach the Moon. As we travel further from the mother sphere, the attraction of her gravity — in layman’s terms, our weight — will grow less and less. Already we weigh only three-quarters as much as we would at home.” He bounced on his toes, and Kidd noticed the man’s wig bounding gently atop his head. Kidd too bounced on his toes, and was astonished to find the small effort propelled him several inches into the air. No matter how many times Sexton had explained this phenomenon, Kidd had never quite been able to comprehend it. But now, with his thirteen stone pressing so lightly against his feet, he felt he was beginning to understand. Again he hopped lightly into the air, feeling himself float giddily for a moment before his boots struck the deck. “I see,” he said. Listed on the Locus Recommended Reading List.